Briggs Land, nearly a hundred square miles of rural wilderness, contains the largest antigovernment secessionist movement in the United States. 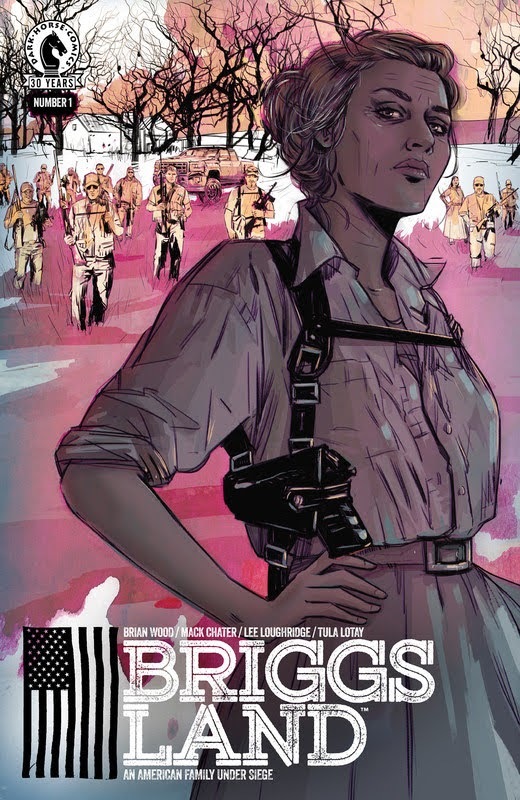 When matriarch Grace Briggs wrests control of the operation from her incarcerated husband, she sparks a war within the community and her immediate family that threatens to bring the full power of the federal government down on their heads. Perfect for fans of Sons of Anarchy and Justified! Tagged cbr, comics, Dark Horse Comics, english. Bookmark the permalink.